wheels (also fits IE and IE-X models made after January, 2009). 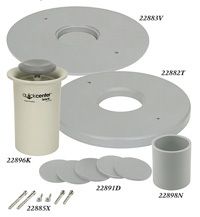 Add versatility and convenience to your Brent® B, C, CXC or EX wheel. Store clay, modeling tools, brushes, and other supplies on the surface or in cup holders to keep them within arm's reach. 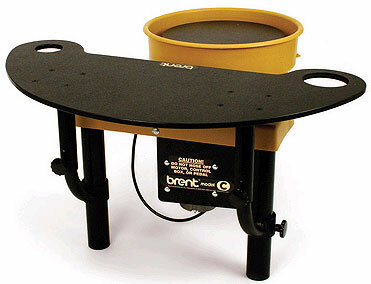 The Brent® WorkStation is 1/3" thick and is made from the same rigid, easy-to-clean material as the AMACO® Plas-i-bat. This one-piece table measures 35 1/4" wide by 18 5/16" deep and attaches to the front wheel legs with four steel supports (two per side). 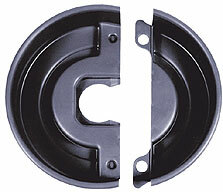 It also has two storage cup holders -- 2 3/16" and 4 3/16" in diameter. The height of the table can be adjusted by using one or both knobs on each side at the same time. Loosen the front knobs, the side knobs (or all four), raise or lower the table to the desired height, then tighten to secure. 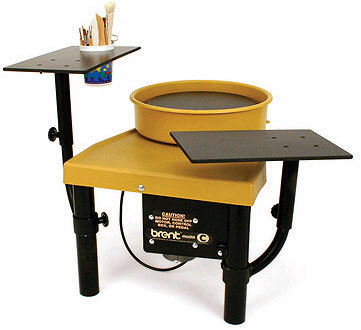 These two tables attach to the front wheel legs with the same supports and knobs as the Curved WorkStation except they can be independently adjusted. One table is 16" x 10" and the other is 18" x 10" with a 4 1/4" cup holder. Multiple positions for each table are possible by loosening one or more of the four knobs. Raise/lower the support or rotate it in or out to desired position then tighten to secure. WorkTables include one set of supports and knobs. 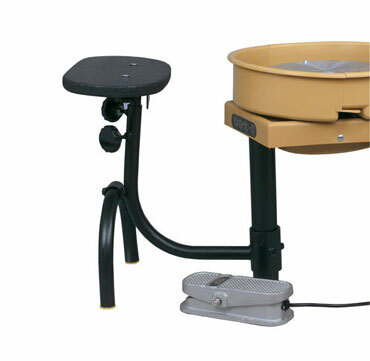 These potters wheel risers are designed to assist tall potters who throw sitting down. 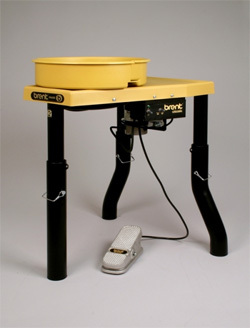 The Brent Booties are packaged in sets of three and are designed to fit the Brent EX, CXC, C, and B potters wheels. 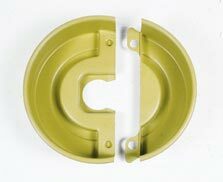 Brent Booties are reversible, allowing you to raise your wheel 2 or 4 inches depending on your need. Raise your wheel to standing height to reduce stress on your back. 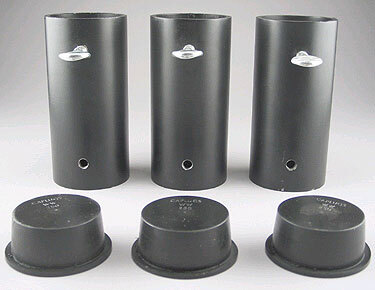 This leg extension kit fits Brent wheels B, C, CXC or EX and adjusts the height from 32 1/2" up to 37 1/2" high. Fits all Brent wheels built after 2009. The Brent QuickCenter System is "training wheels" for the centering process. Center up to 4 lbs. of clay in three easy steps.